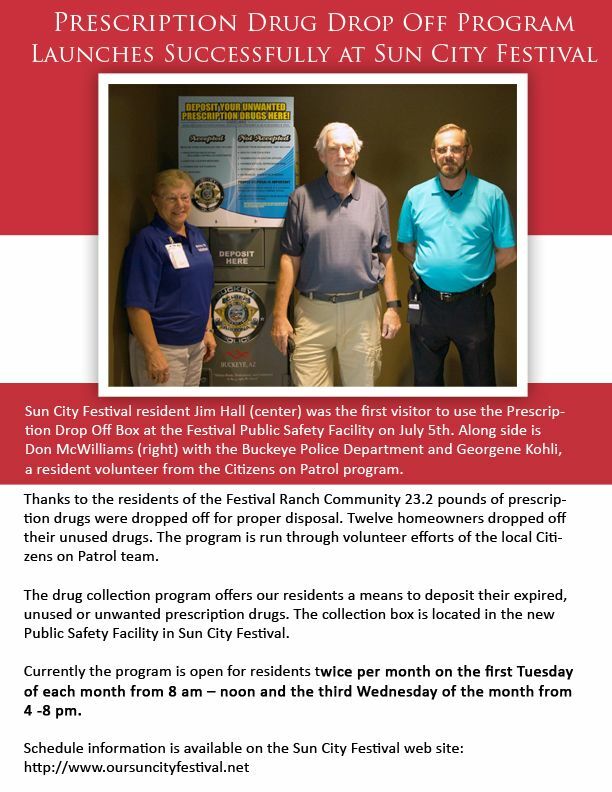 Citizens looking to dispose of excess and expired prescription and over-the counter medications can now visit the safe and secure permanent drop off location at Sun City Festival/Festival Ranch, Public Safety Facility (Police/Fire Station) 27360 W Wagner Complex Drive, Buckeye, AZ 85396. 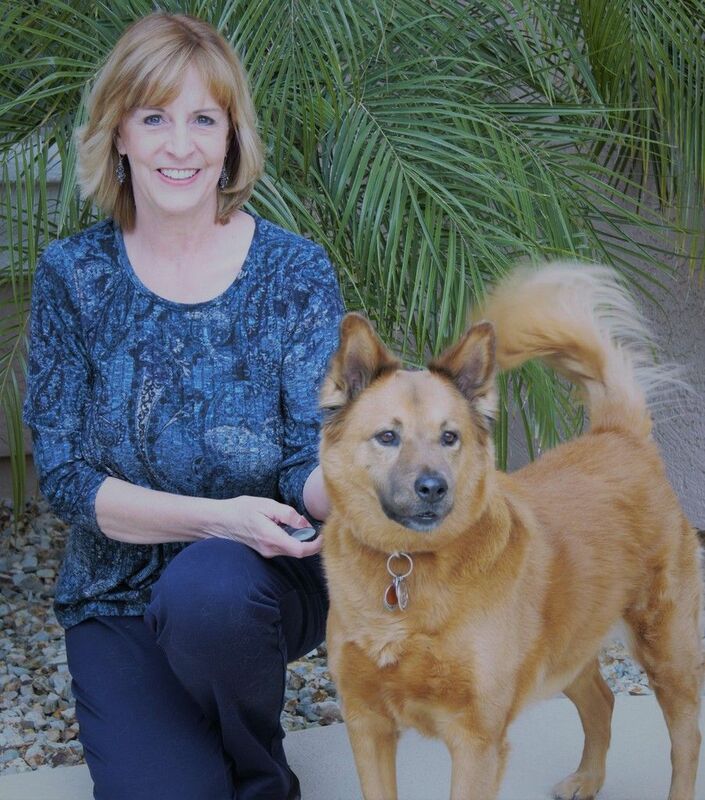 There currently are 120 drop off locations in the state of Arizona. The collection site (27360 W. Wagner Complex Drive – Public Safety Center) will be open the first (1st) Tuesday and third (3rd) Wednesday of each month. 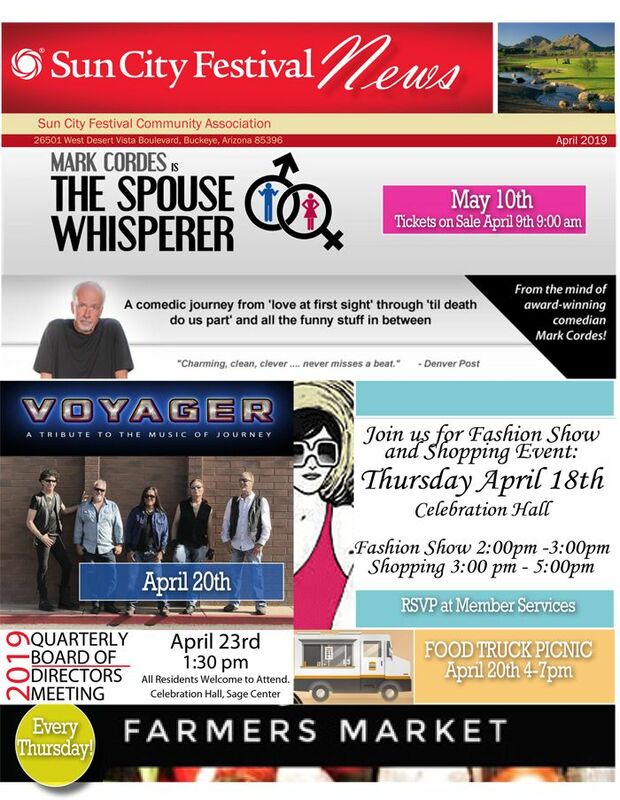 Hours are: Tuesdays from 8am-Noon and Wednesdays from 4:00 pm to 8:00 pm.. Members of the Festival Citizens Patrol organization will be on hand to help citizens drop off drugs with no questions asked. Residents are asked to bring their drugs in their original containers. The Buckeye Police Department has established a permanent FREE drug collection program in order to reduce the supply of drugs that can potentially harm teens and adults. “It’s a way for us to get prescription drugs out of people’s medicine cabinets and into the right hands for proper disposal” according to Buckeye Police Chief Larry Hall. A recent survey showed that only 2% of people used all medications prior to expiration, and that 90% disposed of their medications in the toilet, toilet or sink. Properly disposing of excess drugs is everyone’s responsibility as a matter of public safety. More than70 percent of young people abusing prescription pain relievers get them through friends or family, a statistic that includes raiding the family medicine cabinet. Now Festival Ranch citizens won’t have to wait for a specific take-back day to clean out their medicine cabinets.